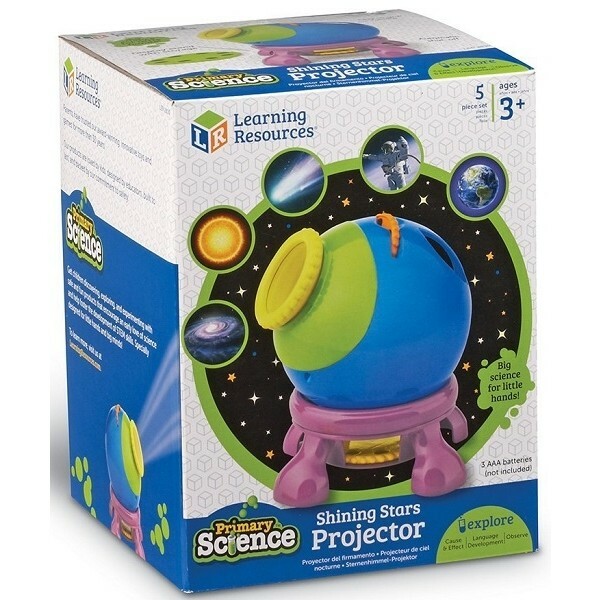 Explore the universe by beaming images of stars, planets, and more with this projector from Learning Resources! 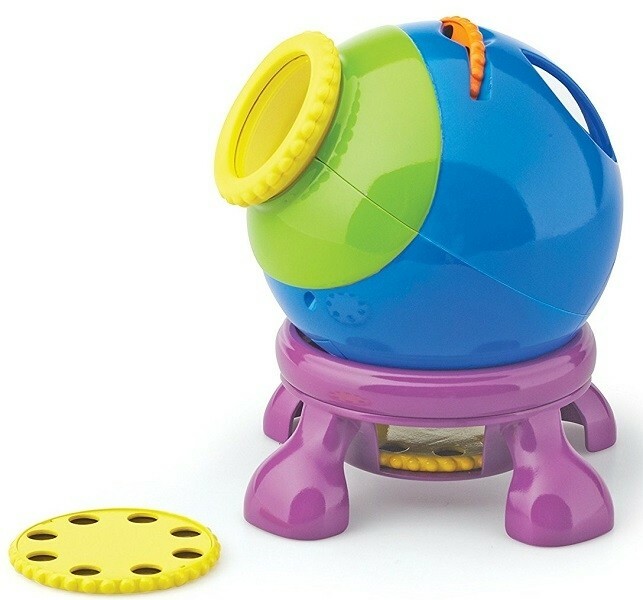 Just place the discs into the slot for quick and easy viewing on any surface. The projector features an easy-carry handle, an automatic shut-off to conserve battery life, and a stand for projector mode. 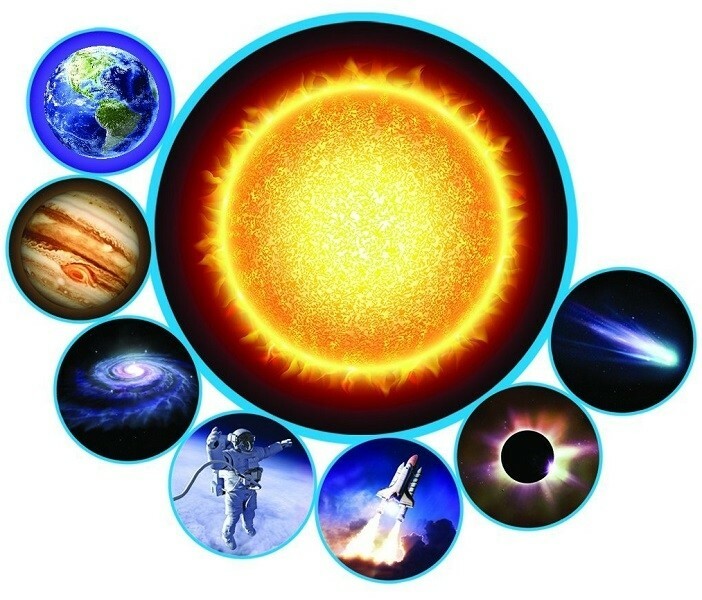 The set comes with 3 discs, with 8 images on each (24 images total), and an Activity Guide filled with fun space facts. 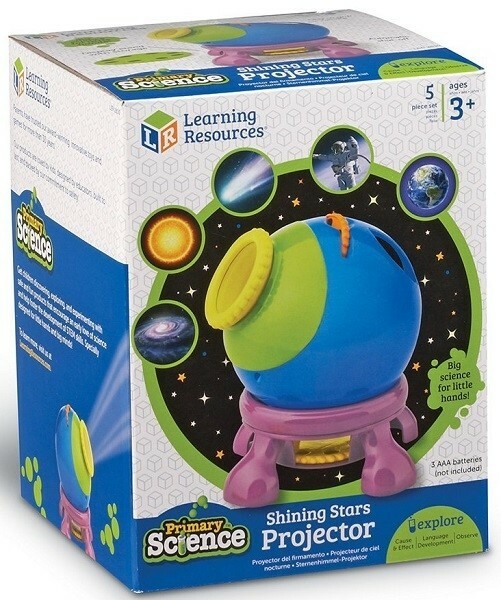 For more toy options for budding scientists, visit our Science / Math Toy Collection.